"I may be 95, but my vision is still 20-20, and I can hear a pin drop at 100 yards." 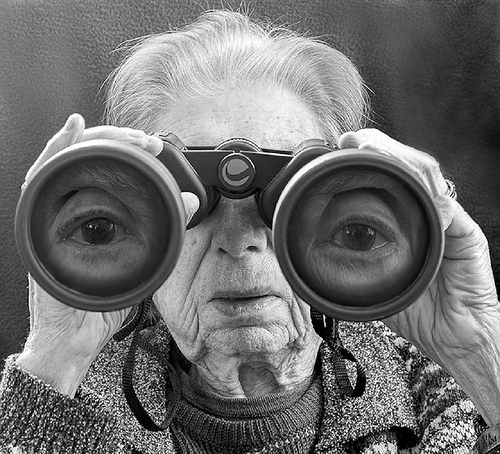 "Um, that's very impressive Mrs. Jones, but what's with the binoculars?" "No thank you Dear, I'll make myself one later."